My take: This is a novella about a boy and his Grandpa. Noah and Grandpa have a wonderful relationship – one that Grandpa considers his second chance since he wasn’t always around for his son, Noah’s dad. Grandpa and Noahnoah (that’s what Grandpa calls him) “get” each other. They like the same things. When Grandpa starts forgetting things Noah reassures him even though he’s not quite sure what’s going on. Fredrik Backman’s characters get to me every time. This time it’s a tale about life through the eyes of an old man and a little boy. Maybe it’s because of where I am in my own life that I could relate. Backman had me smiling on one page and tearing up on the next. I liked the simple illustrations that were sprinkled through the novella. It took only an hour or so to read and I was left smiling as I turned the last page. It was lovely. Recommended. Description: Britt-Marie can’t stand mess. She eats dinner at precisely the right time and starts her day at six in the morning because only lunatics wake up later than that. And she is not passive-aggressive. Not in the least. It’s just that sometimes people interpret her helpful suggestions as criticisms, which is certainly not her intention. The town is populated with quirky characters – some who sneak up on you and break your heart. Britt-Marie has found a place where, little by little, people see her, appreciate her, and maybe even need her. She starts to find hope and a chance for a new start. Will she take that chance? It took me a while to warm up to this novel but once I did, I really liked it. I think if you enjoyed A Man Called Ove, Backman’s first novel, you might like Britt-Marie Was Here. The author again addressed the human condition in a relatable way that now makes me smile thinking back on the people of Borg. Fredrik Backman is a Swedish blogger and columnist. 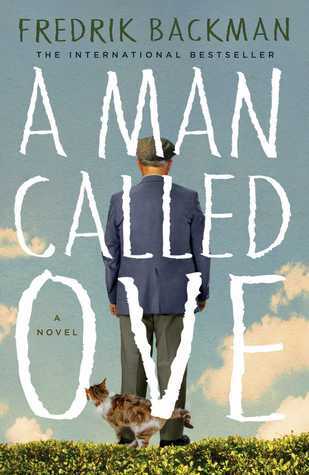 A Man Called Ove, his first novel, has sold more than 500,000 copies in its native country and has been published in more than twenty-five languages all over the world. 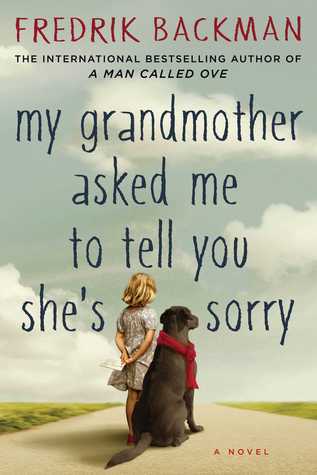 His second novel, My Grandmother Sent Me to Tell You She’s Sorry, will be published by Atria in 2015. Synopsis: In this bestselling and delightfully quirky debut novel from Sweden, a grumpy yet loveable man finds his solitary world turned on its head when a boisterous young family moves in next door. Fredrik Backman peeled back the layers of Ove’s story (no spoilers here) and pulled me into an understanding of what made Ove – Ove. I was unexpectedly charmed by Ove and the rag-tag group of neighbors and a stray cat that became family to him – although he’d never call them family. I think my favorite (after Ove) was Parvaneh, the pregnant neighbor. She didn’t take him seriously yet demanded answers from him. I felt she was a daughter figure to him (but he’d never admit that). It was lovely to see their relationship, such that it was, develop. It struck me that a few of the characters mirrored Ove in some ways but I’m not sure he would agree. A Man Called Ove will be on my 2014 Favorites list. It’s a story about a man who had a plan but despite everything he tried to put that plan in motion, life had a plan of its own. It’s a charming, touching and emotional novel that I definitely recommend!